Here she is — singer and guitarist Melissa Collard, toting that beautiful Gibson L5, ready to share her lovely music with us. How? Is she ready to sing to us over that most archaic object, the pay phone? I wish. No, this post is to announce and celebrate something more tangible. Melissa’s second CD — something I and other admirers from here to Tokyo have been waiting for . . . is out! It’s on the Audiophile label, titled IN A MELLOW TONE (how apt) and on it Melissa is surrounded by musical friends: Hal Smith, drums; Chris Dawson, piano; Richard Simon, bass; Bryan Shaw, trumpet / fluegelhorn. On it, she sings and plays OUT OF NOWHERE, HOW AM I TO KNOW?. I’M CONFESSIN’, I DON’T WANT TO SET THE WORLD ON FIRE, IN A MELLOW TONE, JITTERBUG WALTZ, LOVE YOU MADLY, LULLABY OF THE LEAVES, INDIAN SUMMER, AS LONG AS I LIVE, WE’LL BE TOGETHER AGAIN, IF I HAD YOU, YOU’RE DRIVING ME CRAZY (irresistibly swinging), AZURE, SAVE YOUR SORROW, LOVE LOCKED OUT (heartbreaking), O BARQUINHO. If you’ve read all you need to read, you have my permission to skip to http://www.jazzology.com/item_detail.php?id=ACD-327 and do what seems both right and gratifying! If Melissa’s name is new to you, it was to me some five years ago — until my new friend Barb Hauser, the royal guide to San Francisco jazz, arrived with a copy of a compact disc called OLD-FASHIONED LOVE. An attractive woman I’d never heard of was on the cover, and the band she’d assembled included some world-class talents: Dan Barrett, Eddie Erickson, and Ray Skjelbred among them. I was entranced by Melissa’s warmth, understanding, and swing . . . and became one of the many people who not only played that disc over and over but wrote about it wherever I could and wanted her (listeners are greedy, aren’t they?) to make another one, and another. Here’s what I wrote about the new disc. Great art balances paradoxes: precision and abandon, delicacy and intensity, casualness and technique. Melissa Collard’s singing exemplifies all this while sounding as artless as conversation. Melissa serves the song, displaying its contours in a restrained yet moving way, her approach changing from song to song. She loves the melody and never smudges the lyrics, but she is not imprisoned by the written music. Her improvisations are subtle yet lasting; she delicately underlines a note, pauses for a breath where we don’t expect it, bends a line up or down. Her pleasure in singing becomes ours. Hear her sing “Drifting, dreaming” on AZURE or “Honest I do,” on I’M CONFESSIN’. Because she never tries to impress listeners with her sincerity, it comes through in every bar. 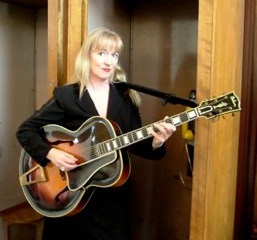 Her swinging momentum is a gift at any tempo, and it comes through in her guitar playing, whether she is adding fluidity to the rhythm section (I thought of Steve Jordan’s work on the Vanguard sessions) or spinning memorable lines. She’s surrounded herself with world-class players. Richard Simon has lifted many sessions with his egoless but powerful ensemble playing, his eloquent, unfussy solos. Four bars from Chris Dawson are a master class in piano; his melodies are lovely compositions, his accompaniment a singer’s dream. Hal Smith understands everything about swinging the band: hear his wire brush and hi-hat cymbals. And Bryan Shaw’s trumpet and fluegelhorn work, glowing or dark, adds so much. These players embody the great jazz tradition while singing their own songs. On several tracks, Chris and Bryan trade phrases in charming dialogues. Jake Hanna said, “Start swinging from the beginning!” and they do just that: listen closely to YOU’RE DRIVING ME CRAZY and I DON’T WANT TO SET THE WORLD ON FIRE. But I keep coming back to Melissa. By refusing to demand our attention through vocal pyrotechnics or drama, she focuses our attention on the quiet riches of her voice, her clear diction and pure intonation, her emotional understanding. Gently she compels us to hear – as if for the first time – what the lyricist and composer aimed for, sometimes, what they would have written had they known. She illuminates her songs, giving each performance its own logic, its own shape. Melissa imbues everything with tenderness, whether the mood is pensive (HOW AM I TO KNOW suggests players in a deserted bar at 3 AM) or exuberant (SAVE YOUR SORROW). There’s no posturing here, no self-dramatization, only warmth. Her feeling for the lyrics transforms even the well-worn IF I HAD YOU into something yearning and genuine. Yet her emotional range is complex: I hear ruefulness underneath the optimism, melancholy coloring cheerfulness. And the masterful LOVE LOCKED OUT (which Melissa calls her “protest song for our current world situation”) has a mournful sweep. Her reading of “A world without love” resonates. Yet she is not despairing but hopeful, and the intimacy she and Chris create is memorably reminiscent of Ruby Braff and Ellis Larkins. Melissa has a soft spot for Ellington material, and she says, “I’ve been known to list my religion as Ellingtonist.” I predict many dramatic conversions when this session is issued. The lyrics to MELLOW TONE urge us to “make a pretty noise.” Melissa does this and so much more, sharing her great gifts with us whenever she sings. 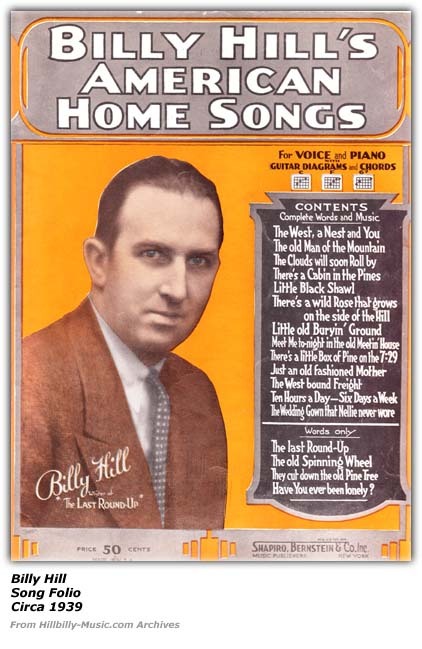 In the name of accuracy, I must report that other copies of the sheet music for this song (circa 1935-6) have Kate Smith on the cover, so I don’t know if Louis ever performed it. But he did record Hill’s THERE’S A CABIN IN THE PINES, and he would have known his friend Bing’s recording of THE LAST ROUNDUP. The song seems to have been more popular with sweet bands — the lyrics below are connected in cyberspace to Eddy Duchin — but that doesn’t rule out Louis hearing or performing it, given his deep affinity for the Lombardo brothers. 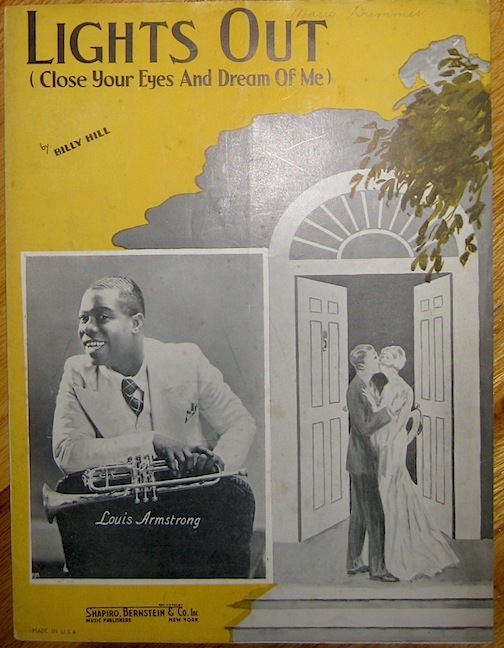 A tangential Louis-connection is that LIGHTS OUT was recorded by a jazz combo — with a vocal by Chick Bullock — under tenorist Art Karle’s nominal leadership (January 1936, Brunswick) with Mezz Mezzrow on clarinet, Joe Bushkin on piano and legendary drummer George Stafford as well as Frank Newton! Beyond that, we have to imagine Louis tenderly asking the Beloved to close her eyes and dream of him. I can hear the 1935 Decca band — think of THANKS A MILLION — doing this perfectly.